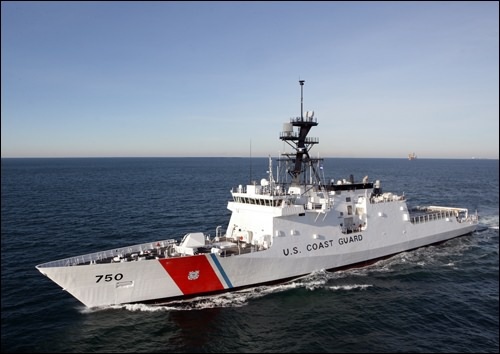 DEC provided extensive structural design and analysis support to Northrop Grumman Shipyard throughout the design development of the National Security Cutter Bertholf. DEC provided a full–ship finite element model for a global stress analysis followed by fine mesh models for several details. In addition to the structural validation, DEC also provided a longitudinal strength study, hull penetration analysis, fashion plate study, shear flow analysis, hangar racking study, and full-ship fatigue analysis. DEC also provided ShipConstructor modeling of the NSC superstructure.